Every year around this time, I'm afflicted with nesting fever. Evidently, I'm not the only one. This month I have had an amazing response to my online design plan service. I'm so excited to start sharing the projects we have been working on. If you would like to make a reservation, now is the time (click here for more information). 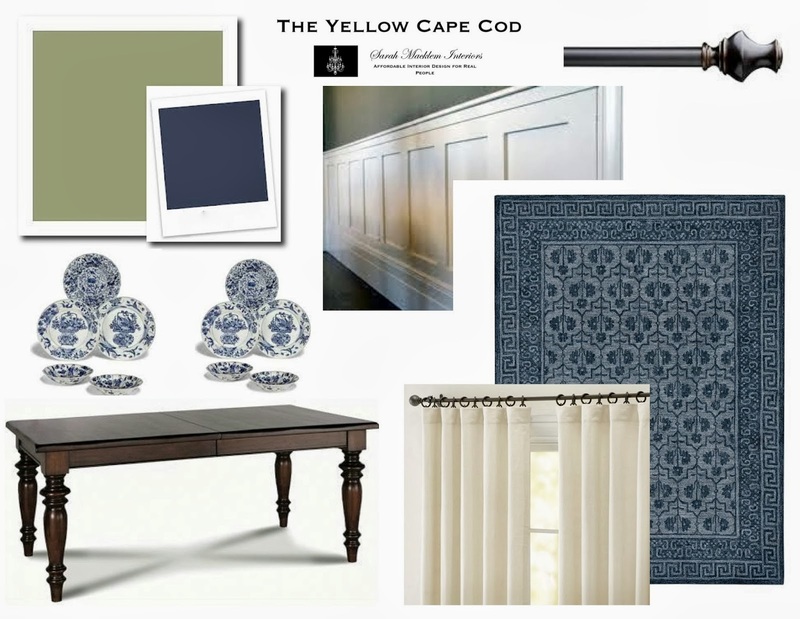 This design board is one that I just finished up for a living room and dining room project. The home is a beautiful, craftsmen style with a ton of charm. The homeowners have some antique pieces that were incorporated into the design along with new furniture and accessories. In the family room, we gave them the modern convenience of a wall mounted flatscreen. Yet we disquised it with a character rich rolling door tv cabinet. The dining room is adjacent to the living room, so we applied a complimentary color palette to this space. We incorporated the homeowners current dining furniture along with some "new" elements including a collection of vintage dishes. 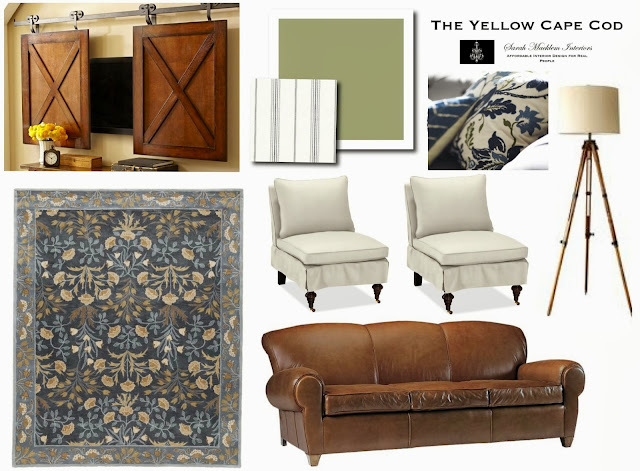 Along with design boards (like these) my online design plans also include a product source list (where to buy list), a true-to-scale floorplan, custom paint color recommendations and step-by-step instructions on how to implement your new design. 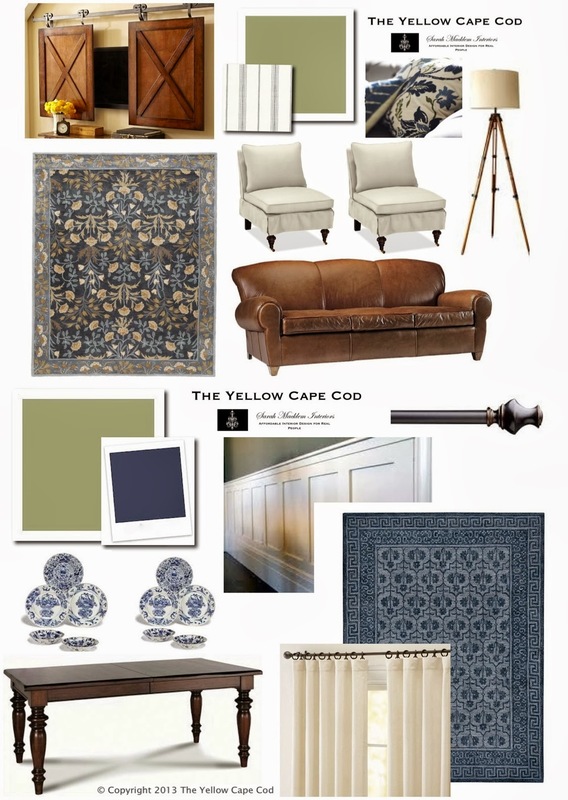 If you would like to start an online design consultation for a space in your home, now is the time. This month is filling up fast. For information or to make your reservation, click here. LOVE these ideas. I have a sofa that exact color and would not have thought about a rug like that. Would you mind terribly sharing where the rug and the TV sliding doors are from?